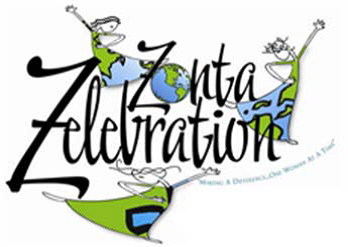 The Zonta Club of Houston (ZCH) is part of Zonta International which was founded in 1919 in Buffalo, NY. Today, Zonta International is a global organization of over 29,000 members in approximately 1,200 Zonta clubs in more than 60 countries. See Zonta History for more information. Vision: Zonta International envisions a world in which women's rights are recognized as human rights and every woman is able to achieve her full potential. In such a world, women have access to all resources and are represented in decision making positions on an equal basis with men. In such a world, no woman lives in fear of violence. ZCH also has a 501(c)(3) organization: the ZCHECF. The fund's primary purpose is to provide scholarships and fund service projects that advance the status of women in the greater Houston area as well as globally through contributions to the Zonta International Foundation (ZIF). For more information on our local service projects, scholarships and advocacy, please see "What We Do" on the menu bar. If you share our purpose and our activities interest you, we would like to meet you! See below for our Upcoming Events and Meetings. Please join us for our Zonta Club of Houston meeting! You will have an opportunity to order off the menu. Cost is $130 per person or $600 for a team of 5. This includes 50 targets at a reserved private 10-station course (shooter shoots alternate 6/4 targets at each of the 10 stations). Non–Shooter Lunch is $25.00 per person. Sporting Clays is an exciting form of clay pigeon shooting, commonly described as "golf with a shotgun. It involves shooting clay targets at multiple locations (called stations). The original idea behind sporting clays was to create an experience that more closely reflects actual hunting conditions. This allows for all generations to share the experience. Supporter Signs: from $100 to $400 each. Please show your support of the Zonta mission by purchasing a Supporter sign. These signs will be displayed at the stations and the Luncheon. Underwriter Sponsorships Available at: $500, $750, or $1000. We hope you can attend! CLICK HERE to register online, to purchase a Supporter sign and/or to become an Underwriter. Or click 2020 Flyer and Registration to print. ZCHECF is a 501c(3) organization. Proceeds benefit local Zonta scholarships for young women in high school and university, as well as our local and international service projects. Go to www.zonta.org and www.zontahouston.org for more information.